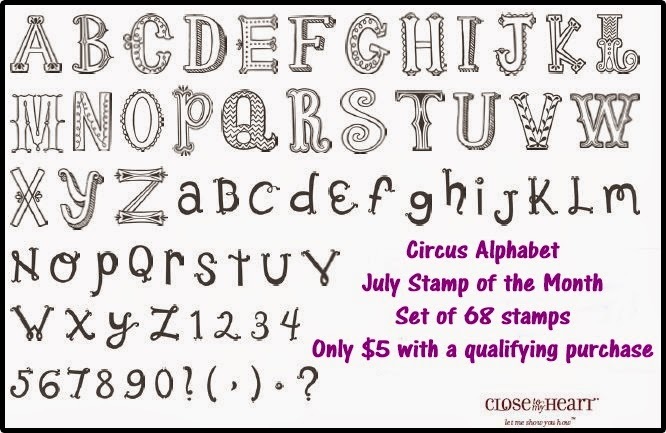 I am LOVING the new July stamp of the month set- a GREAT alphabet set that is super fun to work with. If you are coming from Judy's blog- welcome! If you are joining the hop first here at my blog- no worries... follow the link at the end of the post and if all works as it should you'll make a circle through the hop. As always- this set is only $5 with an order of $50 or more. Such a great deal! There are 50-60 consultants all posting fabulous artwork where this set is likely to be the feature of the project. I thought I'd take a different route and just use it to add the fine details to my layout- my kid's ages. This layout I'm showing was another piece of artwork I created for my display at convention. So consultants visiting this page might recognize it if you perused consultant showcase at convention. Do you notice something unusual? 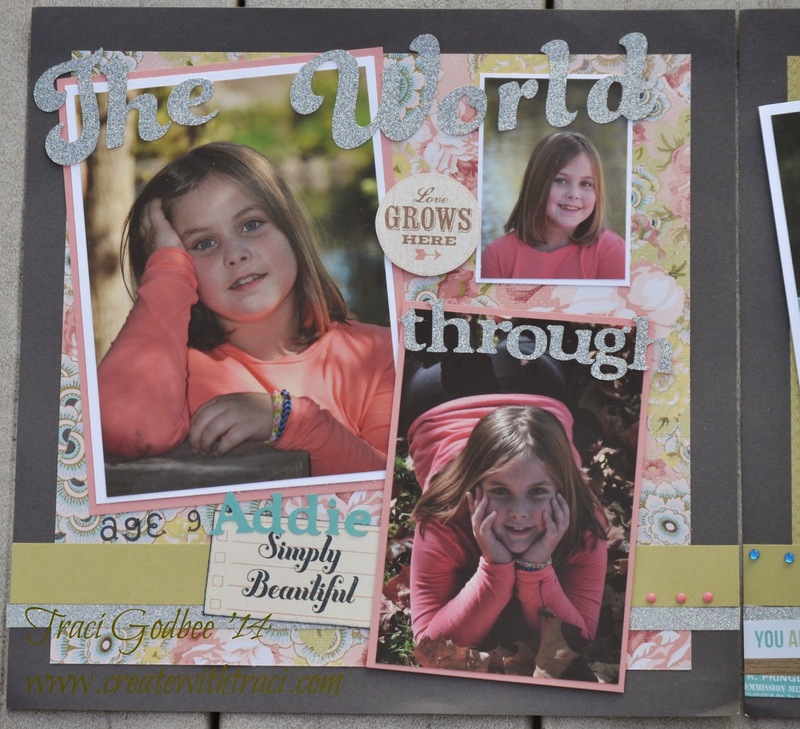 My layout has PHOTOS! Yessiree.... I actually am showing you a completed layout. Enjoy because it doesn't happen often that I've got the perfect photos already printed ;) I would love to show the pages side by side but I had my super zoom lens on my camera and even standing on a chair I couldn't fit the entire thing into the frame so you'll have to imagine it for now. Product Supply List: Ariana Paper Pack; Lagoon cardstock, black/silver glitter paper pack, assorted Picture My Life cards, aquadots, flamingo dots I also used Cricut Art Philosophy and Cricut Artbooking to cut fonts. I used 3-d foam tape to help add dimension to the layout. I hope you enjoyed my post. 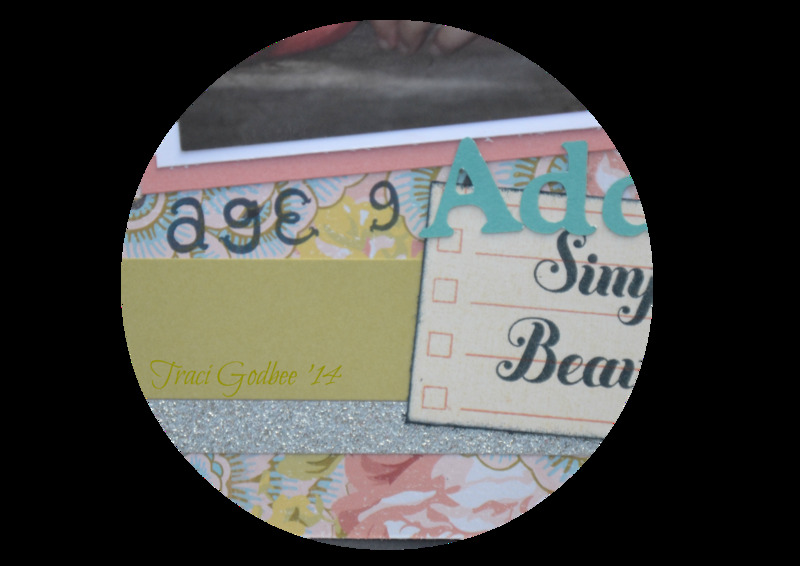 I just wanted to show how nice these fonts are for smaller journaling type work on a layout! 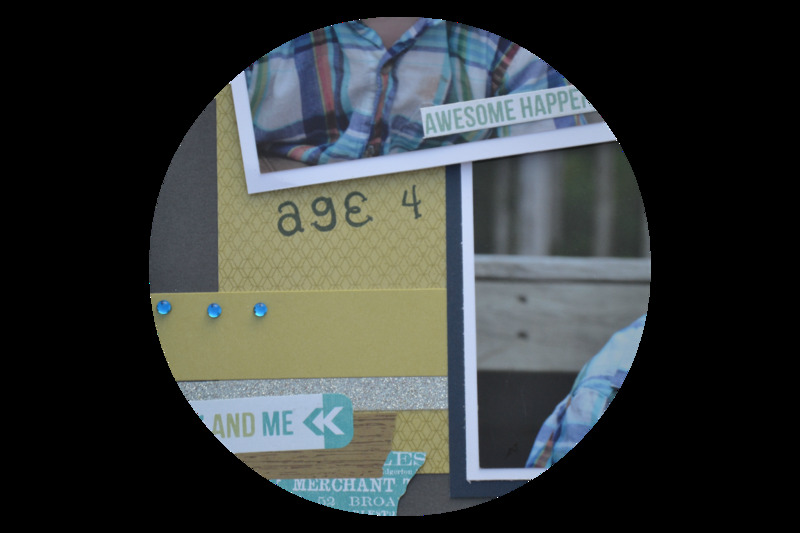 Now head over to Lalia's blog to see what she has created. Stunning layout, and thanks for pulling out the snip-its --highlighting how the stamp set was used. I agree with Terry. 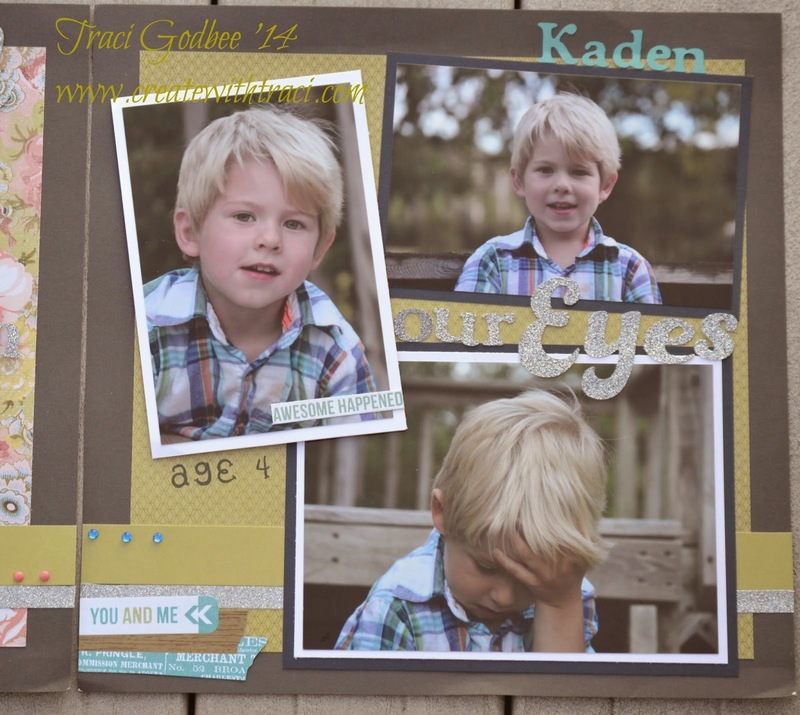 These are stunning layouts!